Beef Week is an occasion to celebrate the role of beef in Queensland and Australia’s economy. It’s also a chance to promote Queensland’s beef exports and the pioneering industry innovation and leading-edge science which bestows Queensland beef with its stellar reputation overseas. 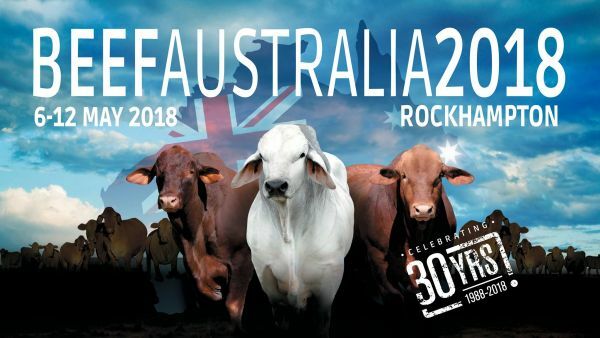 Beef Week 2018 will see Rockhampton taken over by over 3,000 head of cattle representing more than 30 breeds. With 500 trade sites and more than 30 food stands and three restaurants, there is plenty to see and do. Celebrity chefs such as Curtis Stone, Adrian Richardson, Iron Chef Sakai, Tarek Ibrahim, Matt Golinski and more will be cooking up a storm, demonstrating the best in beef cooking. Lining up with this year’s Labour Public holiday, May 7 is People’s Day. This day is marked by reduced general admission, free entry for children, speciality events and entertainment including performances by Troy Cassar-Daley and Fanny Lumsden. Find out more about Beef Week 2018 here.